This 80-acre farm wa purchased in 1977 and over time it became known as the Colorado Gators Reptile Park. It wasn’t until 1987 that the owners purchased 100 baby alligators to dispose of dead filleted fish from their tilapia and perch farm. After those baby alligators had grown, the locals wanted to see them, so in 1990 the park opened publicly. 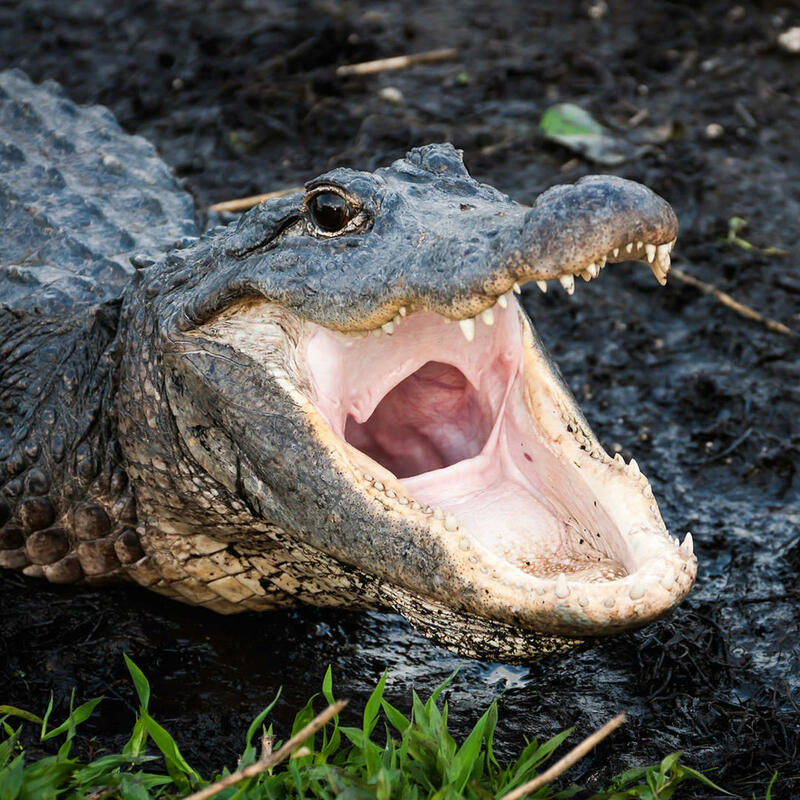 Now the park houses not only alligators but also other reptiles such as pythons, tortoises, and iguanas that have become too large for their owner to handle. So the once fish farm that had become an alligator sanctuary has again reinvented itself into a sanctuary for unwanted exotic pets that are on display for the public who then learn how dangerous it can be to own these animals. The park also travels to schools in order to educate students about the dangers of owning exotic pets.